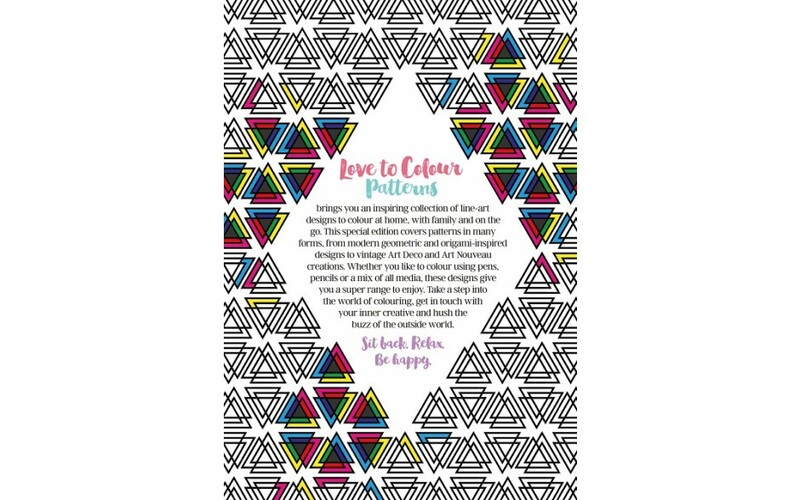 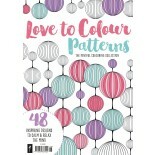 Love to Colour Patterns - on sale now! 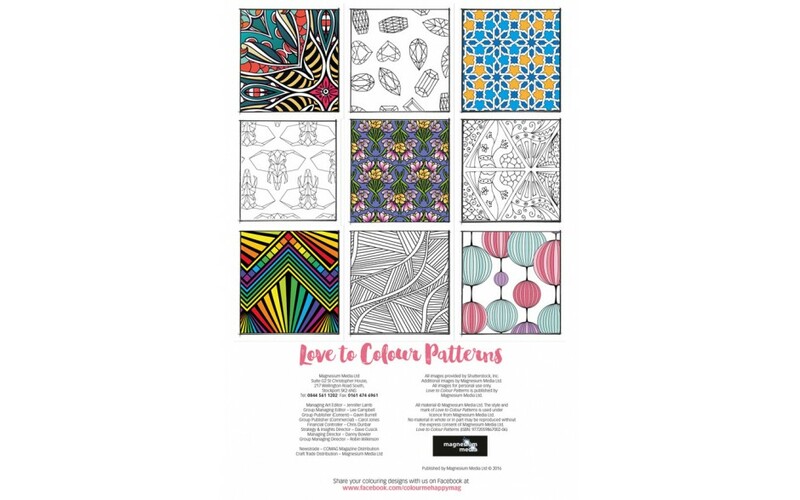 Love to Colour Patterns brings you an inspiring collection of 48 line-art designs to colour at home, with family and on the go. 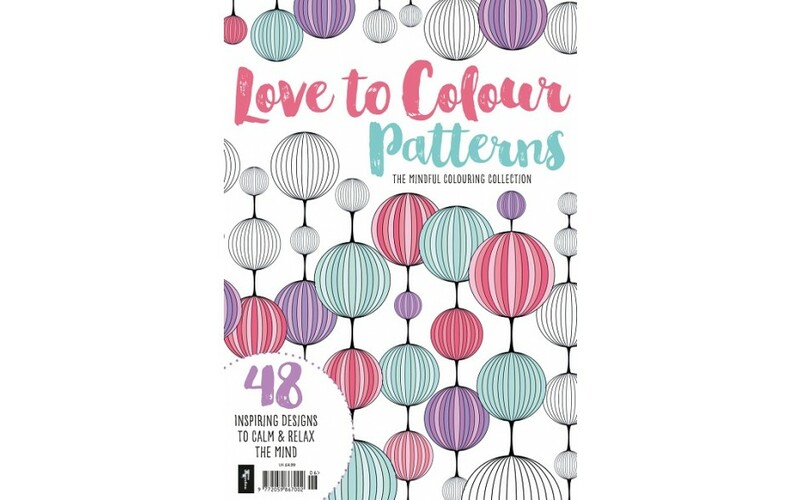 This special edition covers patterns in many forms, from modern geometric and origami-inspired designs to vintage Art Deco and Art Nouveau creations. 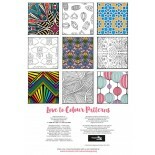 Whether you like to colour using pens, pencils or a mix of all media, these designs give you a super range to enjoy. 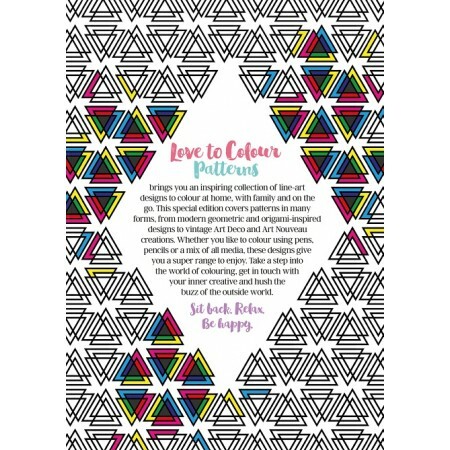 Take a step into the world of colouring, get in touch with your inner creative and hush the buzz of the outside world.